September is Childhood Cancer Awareness month, a campaign to spotlight the types of cancer that largely affect children, draw attention to survivorship issues and raise funds for research and family support. In the US, more than 15,000 children aged younger than 21 years are diagnosed with cancer every year. Of those, the National Cancer Institute estimates that approximately 500 are diagnosed with skin cancer. 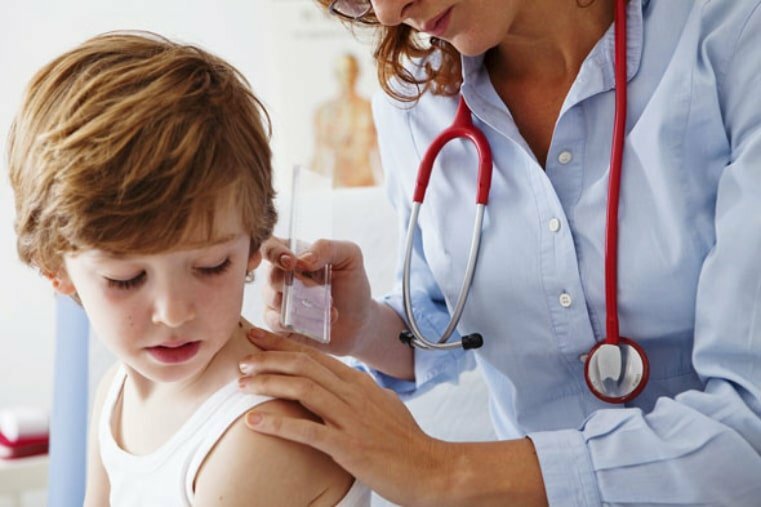 While skin cancer in children is still considered quite rare, with pediatric melanoma representing only about 1% of new melanoma cases diagnosed in the US each year, it is on the rise. In fact, skin cancer in children and adults is on the rise, even though there has been an increase in awareness of the dangers of too much UV exposure and the importance of skin cancer screenings. Additionally, a 2015 study published in the Journal of Investigative Dermatology contained supporting evidence indicating that UV exposure may play more of a role than initially thought in cases of skin cancer in children. This study contained a comprehensive genomic analysis of skin cancer in children—finding unique genomic features for each of the three types of skin cancer. Basal Cell Carcinoma (BCC) is a highly treatable cancer and grows very slowly. BCC usually appears as a small, shiny bump or nodule on the skin, mainly in areas exposed to the sun. BCC is the most common type of skin cancer in adults, but is uncommon in children, except in some genetic conditions such as basal cell carcinoma syndrome and xeroderma pigmentosum. Squamous Cell Carcinoma (SCC), although more aggressive than basal cell carcinoma, is highly treatable. SCC may appear as nodules or red, scaly patches, and may be found on the face, ears, lips and mouth. SCC is rare in children. Melanoma starts in the cells that produce pigment in the skin, and can sometimes appear as a new or changing mole. Melanoma accounts for up to 3% of all pediatric cancers, and although melanoma is rare in children, it is the most common pediatric skin cancer. Melanoma is occasionally found in newborns, but becomes more common as children get older, accounting for about 8% of cancers in teens. While there are many ways to protect a child from UV rays, sunscreen is the simplest and safest method. When educating patients on how to best protect their child in the sun, refer them to the American Academy of Pediatrics, which approves the use of sunscreen on infants younger than 6 months old if adequate clothing and shade are not available. Parents should still try to avoid sun exposure and dress the infant in lightweight clothing that covers most surface areas of skin. For physicians looking for a sensitive, non-surgical skin cancer solution, contact Sensus Healthcare to learn more.